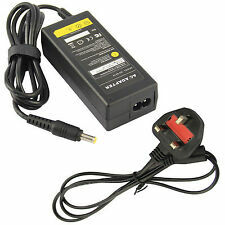 Compatible Laptop Part Number Compatible Laptop Models Such as battery, ac adapter etc. All item passed FCC / CE / ROHS certificates. • M40, M40 plus. We work with a good quality supplier and factory. 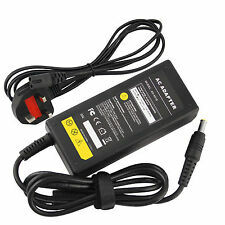 (1x AC adapter. Such as battery, ac adapter etc. Our 100% item locate UK Local warehouse. (Apply for Battery Only). We will very appreciated for your doing. 1x power cable. excluded.). Compatible Laptop Part Number: ADP-60ZH, A AD-6019, SPA-30, 0335C1960, 0335A1960, ADP-60ZH A, ADP-40MH AB Compatible Laptop Models: SAMSUNG: • A10, A10 DXT, A10 XTC • Aquila C, Aquila • Corona • GS6000 • GT6000, GT6330, GT6330XT, GT6360, GT6360XT, GT6400, GT6400XV, GT7000, GT7450 • GT7600, GT7700, GT7700XT, GT8000, GT8100, GT8100KXV, GT8600, GT8650, GT8650XT, • GT8700, GT8700XT, GT8750, GT8750XT, GT8750XV, GT8800, GT8800DXV, GT8800XT, • GT8800XV, GT8800XVD, GT8850XT, GT8850XTD, GT8900, GT8900DXV, GT8910, GT8910KXV, • GT9000, GT9120 • M40, M40 plus • P27, P28, P28G, P29, P30, P35, P40. 1x AC adapter. Such as battery, ac adapter etc. Our 100% item locate UK Local warehouse. Includes power cable. 1x power cable. We will very appreciated for your doing. We work with a good quality supplier and factory. Samsung S series. Samsung X series. Samsung M series. Samsung N Netbook Series. Samsung Sens Pro series. Samsung Q series. 1 x AC Adapter. 1x Free UK Fuse Power cord. You can find this information on the labelof your original adapter. Warranty Period. · All of our adapters are Certified to CE & FCC Standards, RoHS compliant. 100% compatibility with the original. Cancel my Order. DC Output: 19V 3.16A. Power: 60W. POWER CORD is included where applicable. Product Details. AC Input: 100~240V / 50-60HZ. Features: Input voltage: 100-240V ~ 1.5A, 50 - 60Hz Output voltage: 19V ~ 3.16A 60W DC connector size: 5.5*3.0mm Includes power cable Package Included: 1x AC adapter 1x power cable. Laptop battery for samsung. Such as battery, ac adapter etc. Laptop battery for hp. Laptop battery for dell. Laptop battery for apple. Laptop battery for IBM. Laptop battery for toshiba. Laptop battery for lenovo. 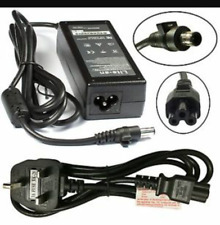 Type: Laptop AC Adapter. Laptop Screens. Laptop Adapters. Laptop Hard Drives. Adapter Output: 19V 3.16A. Adapter Input: 100-240V~1.5A 50-60Hz. Used for: Samsung Models. Laptop adapters from various other adapter manufacturers can be used as long as the specifications are similar to the existing adapter. POWER CORD is included where applicable. DC Output: 19V 3.16A. Plug Type: 3pin (UK). Power: 60W. Product Details. AC Input: 100~240V / 50-60HZ. SAMSUNG 19V 3.16A 5.0mm X 3.0mm 60w WITH LEAD. It can be used to replace your old adaptor or as a spare so you never have to worry about losing power when you need it! Switch off item from the plug when not in use. SAMSUNG 19V 3.16A 5.0mm X 3.0mm 60w. It can be used to replace your old adaptor or as a spare so you never have to worry about losing power when you need it! Switch off item from the plug when not in use. You can find this information on the labelof your original adapter. Warranty Period. Italy, Portugal and Spain. · All of our adapters are Certified to CE & FCC Standards, RoHS compliant. 100% compatibility with the original. If any problem. e.g. you can use 4.74A instead of 3.42A and it will not harm the laptop, as laptop uses only what it requires. UK & EU CE RoHS FCC Approved. Power: 60W. DC Output: 19V 3.16A. AC Input: 100~240V / 50-60HZ. POWER CORD is included where applicable. Connector Size: 5.5 x 3.0mm. Product Details. Power: 60W. POWER CORD is included where applicable. Warranty: 1 Year. Connector Size: 5.5 x 3.0mm. DC Output: 19V 3.16A. AC Input: 100~240V / 50-60HZ. Samsung A10 DXT 1000 A10 DXTD 1100 A10 XTC 1500 ,SAMSUNG NP-R519 AD-6019R R60 PLUS R60 ADP-60ZH. SAMSUNG COMPATIBLE MODELS. Samsung S serie. Samsung X series. Samsung NC10,NP-NC10,NP-ND10. Samsung NP-X360,NP-X460. 1x AC adapter. Includes power cable. 1x power cable. Such as battery, ac adapter etc. All item passed FCC / CE / ROHS certificates. We work with a good quality supplier and factory. Help you and us save money greatly. Compatible with Samsung NP-RV511-A02 NP35 NP400B4B P410 R55 VM6000. Efficiency that makes a difference Green Cell power supplies let you enjoy your laptop without worrying about power loss. Original Green Cell Adapter. Efficiency that makes a difference Green Cell power supplies let you enjoy your laptop without worrying about power loss. 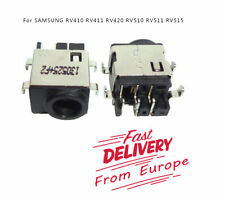 compatible with Samsung NP-RV511-A08UK NP-RV511-A0CUK. Original Green Cell Adapter. 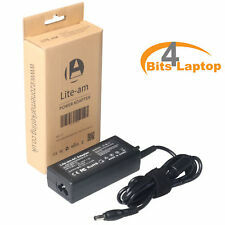 Lite-an® High Quality 60 W Laptop Power AC Adapter For For Samsung Q330 R540 RV510 RV511. 1 X Power Adapter. Output Current: 3.16A. Power: 60 Watt. 1 X Power cord. Warranty Claim Process This limited warranty does not affect your statutory rights provided by law. 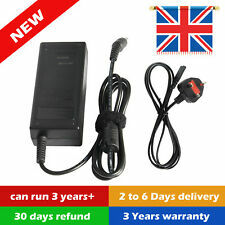 Laptop Charger for Samsung RV510 RV511 RV515 RV520 R530 RC512 R730 SF310 SF311 . Condition is New. Dispatched with Royal Mail 2nd Class. Efficiency that makes a difference Green Cell power supplies let you enjoy your laptop without worrying about power loss. compatible with Samsung NP-RV511-S01UK NP-RV511-S03AT NP-RV511-S07. Original Green Cell Adapter. DC Output: 19V 3.16A. Power: 60W. POWER CORD is included where applicable. Connector Size: 5.5 x 3.0mm. Series of safety assets increase charging stability and provide protection from short-circuit. 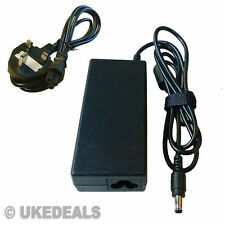 Perfectly compatible withSamsung NP-RV511-A08UK, Green Cell AC adapter is built with the best quality materials. Efficiency that makes a difference Green Cell power supplies let you enjoy your laptop without worrying about power loss. compatible with Samsung NP-RV511-A01AT NP-RV511-A01PT. Original Green Cell Adapter. Compatible with Samsung RV409 RV511e RV515e VM6300cT. Efficiency that makes a difference Green Cell power supplies let you enjoy your laptop without worrying about power loss. Original Green Cell Adapter. Efficiency that makes a difference Green Cell power supplies let you enjoy your laptop without worrying about power loss. compatible with Samsung NP-RV511-S03IT NP-RV511-S03PT. Original Green Cell Adapter. 1x AC adapter. Such as battery, ac adapter etc. Includes power cable. 1x power cable. All item passed FCC / CE / ROHS certificates. We work with a good quality supplier and factory. Help you and us save money greatly. 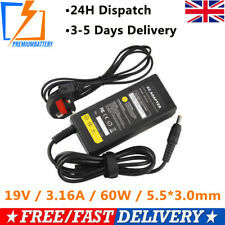 Compatible with Samsung NP-R510 NP270E RV511 NP300V R730 R540. Efficiency that makes a difference Green Cell power supplies let you enjoy your laptop without worrying about power loss. Original Green Cell Adapter. Series of safety assets increase charging stability and provide protection from short-circuit. Perfectly compatible withSamsung NP-RV511-S01PL, Green Cell AC adapter is built with the best quality materials. Series of safety assets increase charging stability and provide protection from short-circuit. Perfectly compatible withSamsung NP-RV511-S08ES, Green Cell AC adapter is built with the best quality materials. Series of safety assets increase charging stability and provide protection from short-circuit. Perfectly compatible withSamsung NP-RV511-A09, Green Cell AC adapter is built with the best quality materials. Series of safety assets increase charging stability and provide protection from short-circuit. Perfectly compatible withSamsung NP-RV511-S04TR, Green Cell AC adapter is built with the best quality materials. Series of safety assets increase charging stability and provide protection from short-circuit. Perfectly compatible withSamsung NP-RV511-S05FR, Green Cell AC adapter is built with the best quality materials. Series of safety assets increase charging stability and provide protection from short-circuit. Perfectly compatible withSamsung NP-RV511-A01UA, Green Cell AC adapter is built with the best quality materials. Efficiency that makes a difference Green Cell power supplies let you enjoy your laptop without worrying about power loss. compatible with Samsung NP-RV511-S07RU NP-RV511-S08 NP-RV513-A01. Original Green Cell Adapter. Series of safety assets increase charging stability and provide protection from short-circuit. 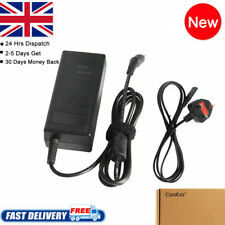 Perfectly compatible withSamsung NP-RV511-A04UK, Green Cell AC adapter is built with the best quality materials. Series of safety assets increase charging stability and provide protection from short-circuit. Perfectly compatible withSamsung NP-RV511-A07, Green Cell AC adapter is built with the best quality materials. Series of safety assets increase charging stability and provide protection from short-circuit. Perfectly compatible withSamsung NP-RV511-A06, Green Cell AC adapter is built with the best quality materials.